Celebrate the new year, or any other special occasions with this Swarovski crystal star, which reflects light beautifully and is finished with an engraved metal tag. The ornament is held in place with an elegant white satin ribbon and is perfect to add a bit of shine to your decorations. Not suitable for children under 15. 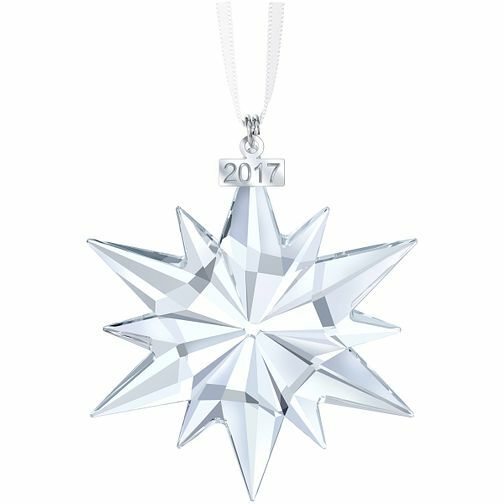 Swarovski Annual Edition Christmas Star Ornament is rated 5.0 out of 5 by 1. Rated 5 out of 5 by Anonymous from Lovely Great quality as you would expect from Swarkovski.